We had been back to Fat City for three or four weeks when we were told that we were going back to the field. (This is just what I didn't want to hear). I didn't have much time left in country and we were off again. 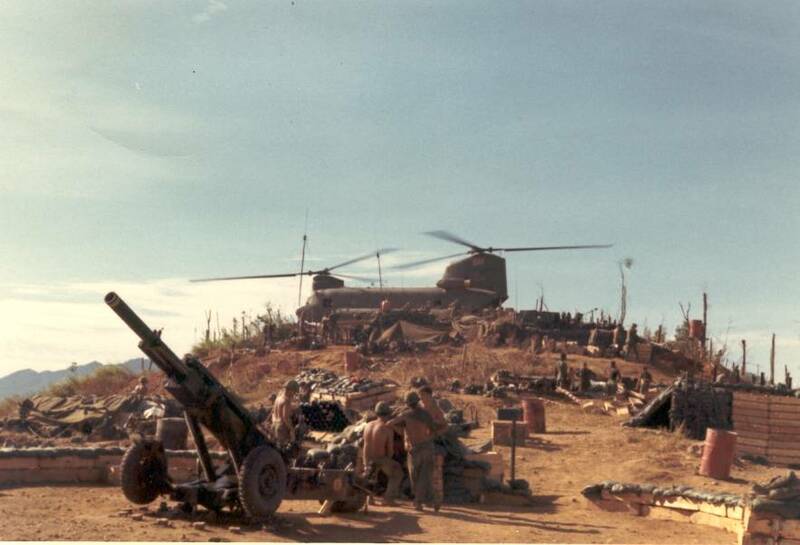 I don't know that the LZ was actually called LZ Ray by the Army. It was a name that we, Charlie Battery, had given it . It was named after Sgt. Ray whom we lost on LZ Professional. We were there for three weeks, I think. And then we went back to LZ Fat City. Sgt. Clarence Marrs waiting on the chopper pad at LZ Fat City. 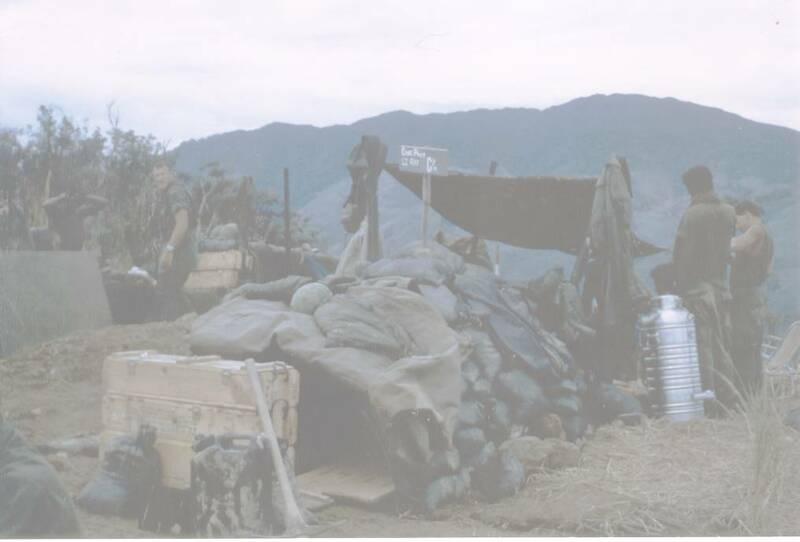 We were leaving to go to LZ Ray, July, 1969. All the time that I was in country, we only went by truck a couple of times. 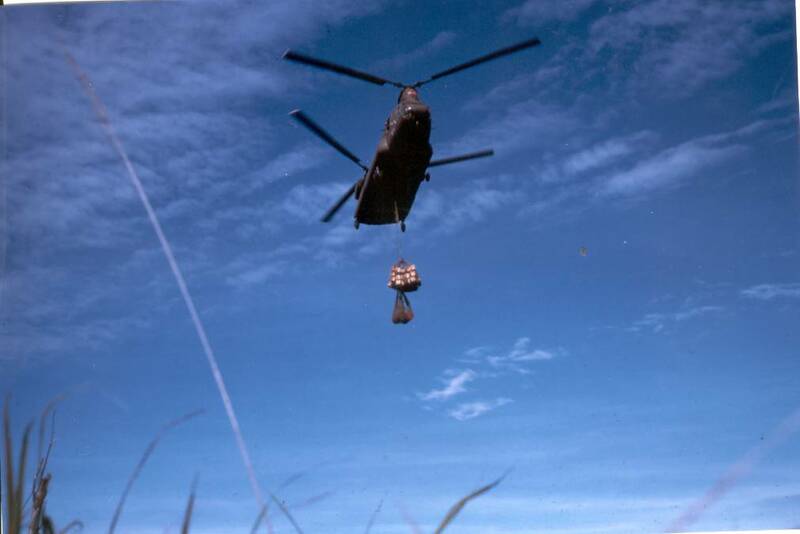 All the other times we went by way of the Chinook. 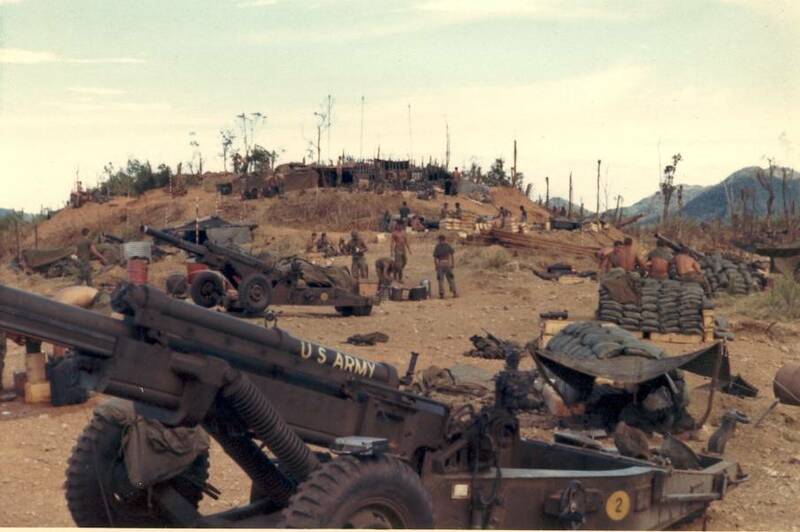 I remember just before we were to go to LZ Ray, a Major from Battalion had come out to the hill after it had been bombed. When they got there, a gook was spotted on the hill and was killed by a door gunner. The Major pissed in his pants. Photo furnished by Larry Bourbonnais. 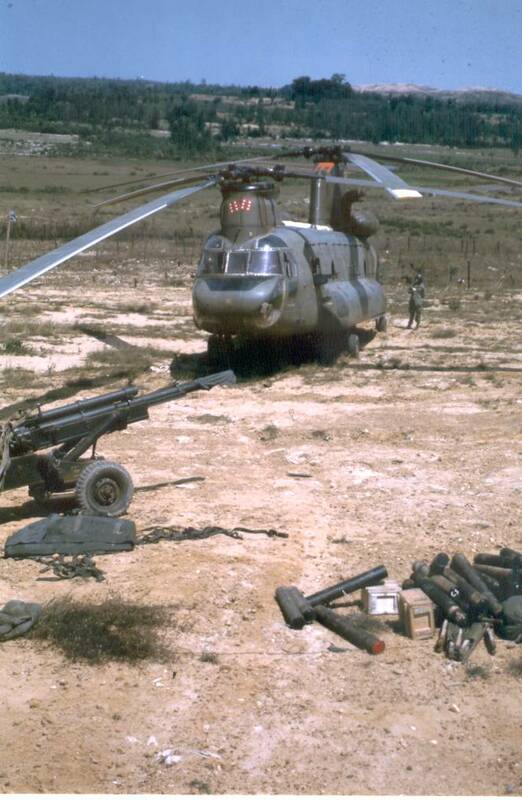 Taken on the chopper pad at LZ Fat City summer of 1969. Getting ready to go to LZ Ray. This is how Charlie Battery moved from place to place. This photo came from Larry Bourbonnais. This picture came from Larry Bourbonnais. 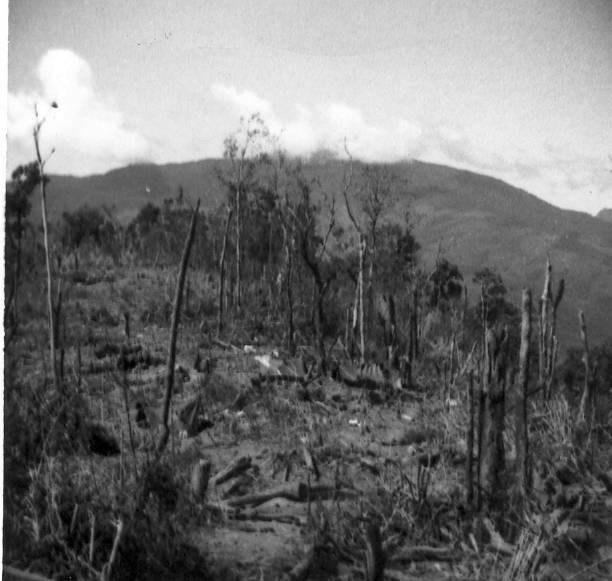 This is part of LZ Ray and what it looked like the day we landed on the hill. This is after artillery had pounded it and from what I remember a few bombs. This picture came from Larry Bourbonnais. 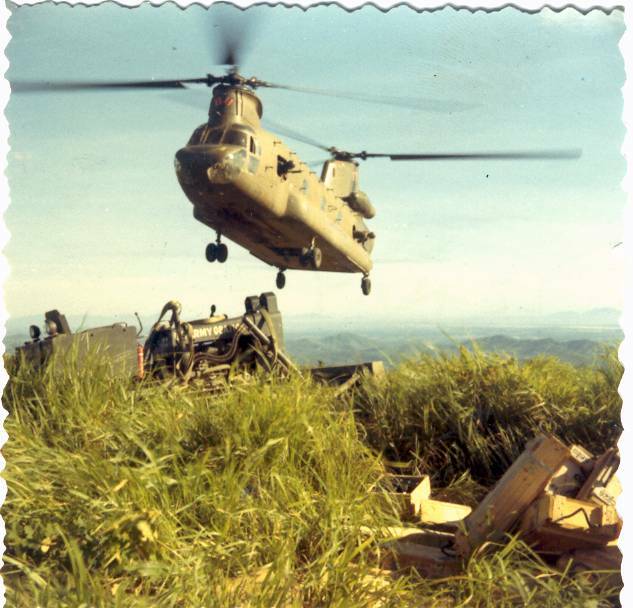 Chinook just dropped off a bulldozer on LZ Ray June ,1969. 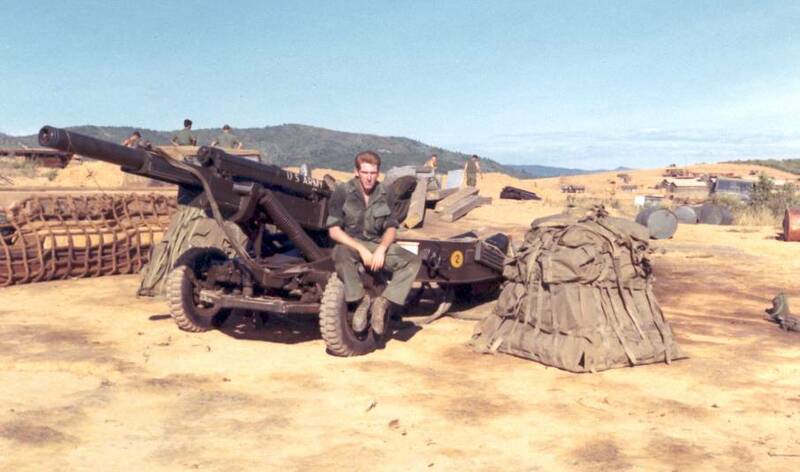 Sgt.Clarence Marrs at LZ Ray, July, 1969. If you look hard in the background, you will see smoke in the upper right hand corner of the picture. 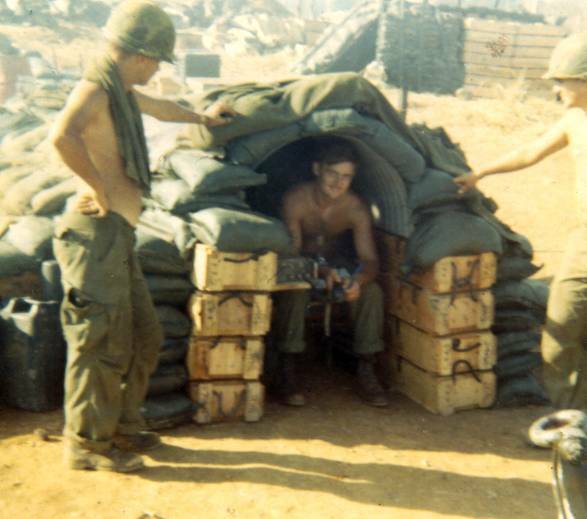 That was an NVA camp. It was burnt by the GI's in the field. From what I remember, it was fixed up pretty good. 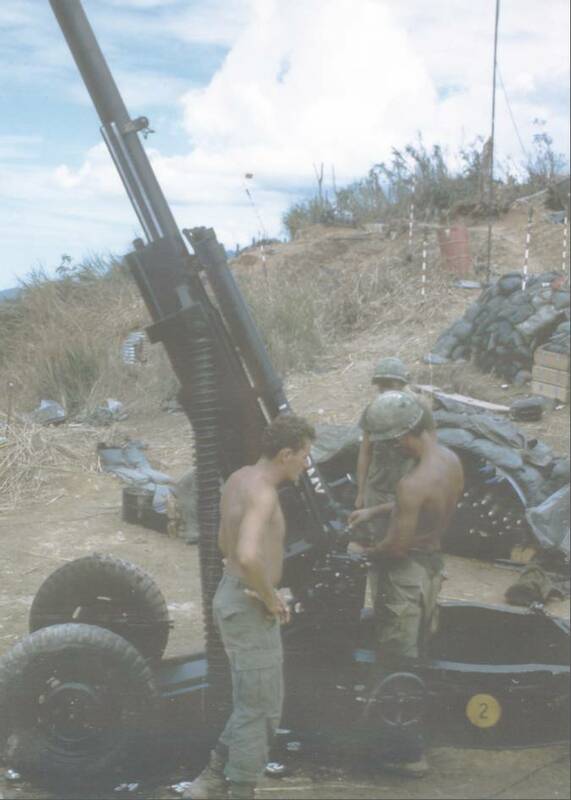 Charlie Battery gun crew LZ Ray July, 1969. My gun pit in the front and another in the rear. My one room palace just behind the gun. 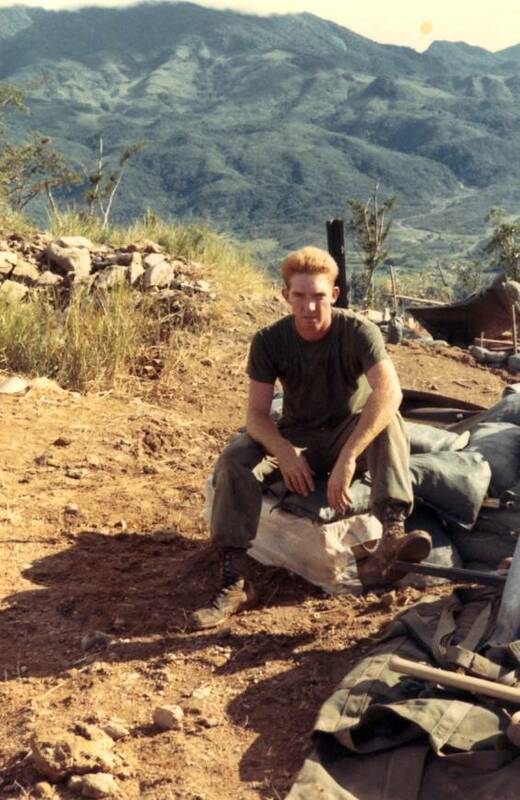 LZ Ray, July, 1969. 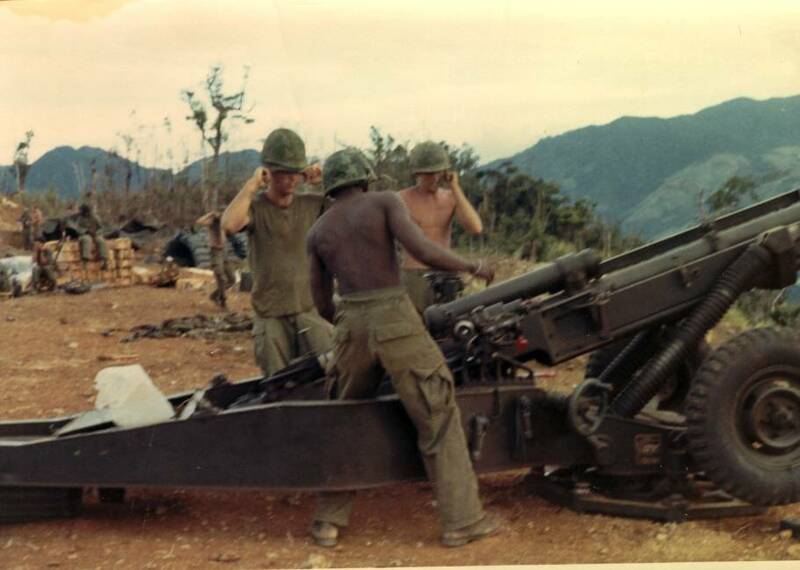 Fire mission LZ Ray July, 1969. This photo furnished by Alabama. 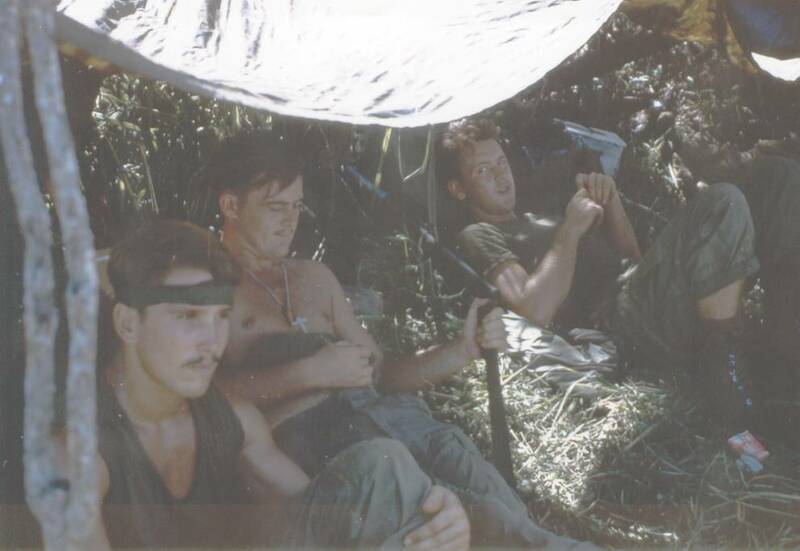 LZ Ray 1969 Edward Cloutier in the shade and the other two people I don't know who they are. Photo furnished by Larry Bourbonnais. Left to right, Larry, Edward Cloutier and John. LZ Ray and it was HOT just trying to stay cool. Photo furnished by Larry Bourbonnais. Left to right, Dell Burns and Mike Sutter. I can't tell who is in the back ground. Photo came from Dell Burns photos that he took. 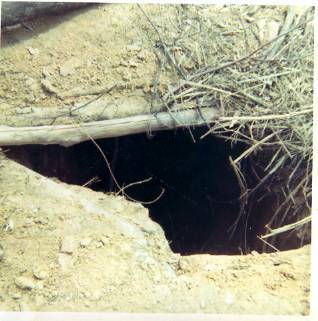 LZ Ray another tunnel that was on the hill July, 1969.